This review has been a long time coming. I first picked up the Flex by FiloFax pocket book a year ago from a surplus store as they were being discontinued in America (though I can find them on Amazon again now). I’ve never really been the organizer type and I didn’t know what I would use the item for, but it was cheap, and black goes with anything so I picked it up. How could I resist another notebook? So I have settled on a use for it, and it goes with me (almost) every day as my wallet (second wallet: my first one isn’t large enough to carry much cash and business cards as it’s attached to my phone). So this will be a review of the product as a wallet, and not the myriad of other things it could be used for. The book comes with two notebooks that I’ll cover first. 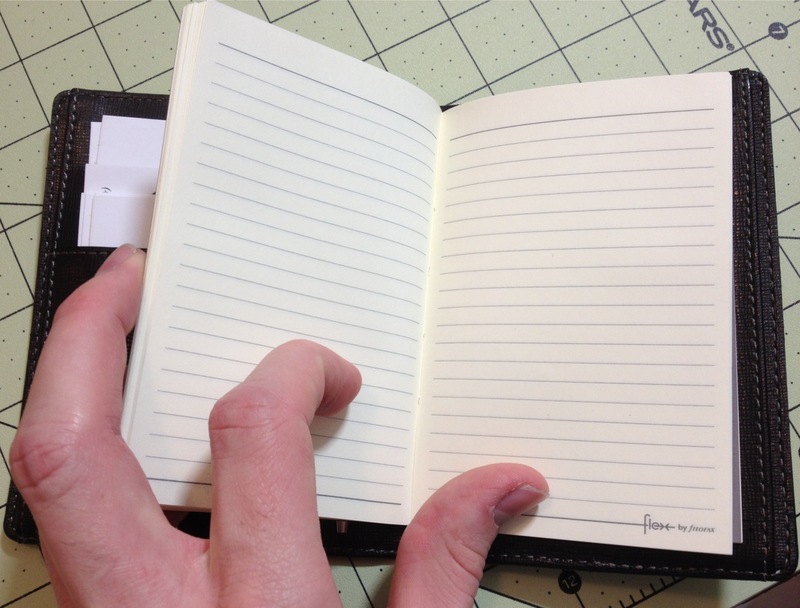 One is a small, journal-type book, and the other is a tear-able (not a pun) pad. Both are good quality paper that’s fairly smooth, and can stand up to some fountain pens even, but they’re a bit stiff. They fit snugly into the slots on the cover and never seem too intrusive or fattening. Replacement books and other styles can be bought individually, and they are still good even if not protected in the cover. The cover has a leatherette feel to it (I don’t know the material) but it’s pretty strong and the spine is designed to be flexible so it doesn’t look bad or get destroyed by being opened and closed a lot. On the outside there’s nothing but stitching and a subdued logo, which I like. 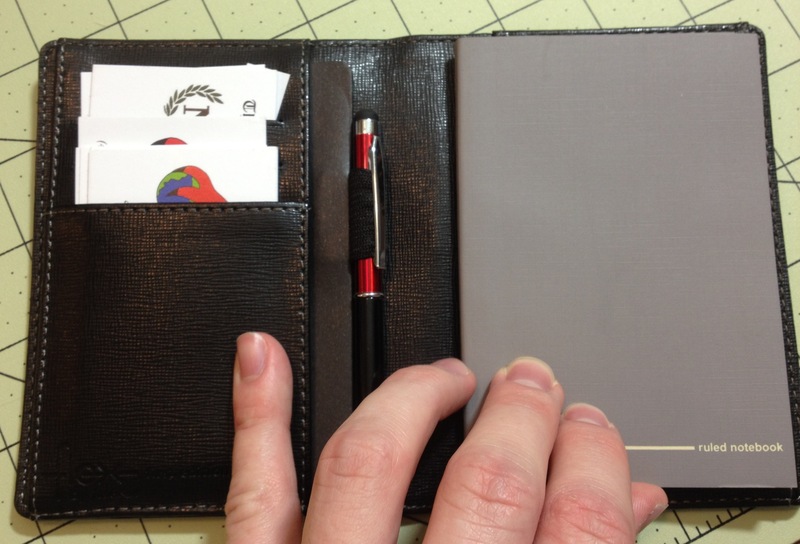 On the inside there are two panels, each has an inside-facing, and outside-facing pocket that are about business card size and can hold the notebook covers. One panel then has three card slots for business/credit cards or the pad, and the other side has only one slot for either the pad or any other item that FiloFax made to be put in there (I suppose cards would work there too, but there is only one slot). Finally, it comes with a thin piece of cardboard with a pen loop attached that can be inserted into the back pockets, allowing for one to easily take their pen with them. I personally have: business cards, cash, a small pen (Monteverde Poquito stylus), and all of the included items stored inside. The cover has held up well, with no signs of wear yet, and while I rarely use the books because I have so many other ones (and I’m not a fan of jot-pads) they do come in handy and can take inks that many cheaper papers can’t. 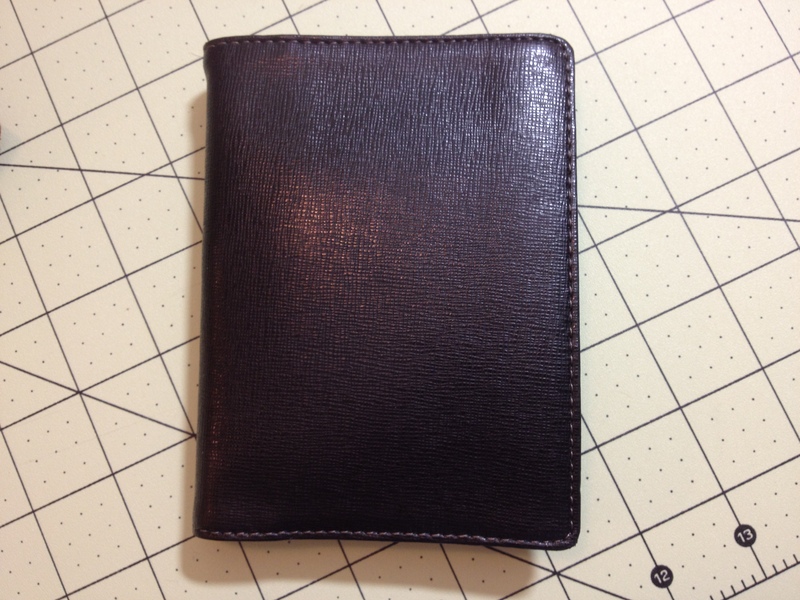 I’ve had no problems with the spine or the pockets, and the stitching is still all there. I wish it was a little more customizable, but I wish that about everything. 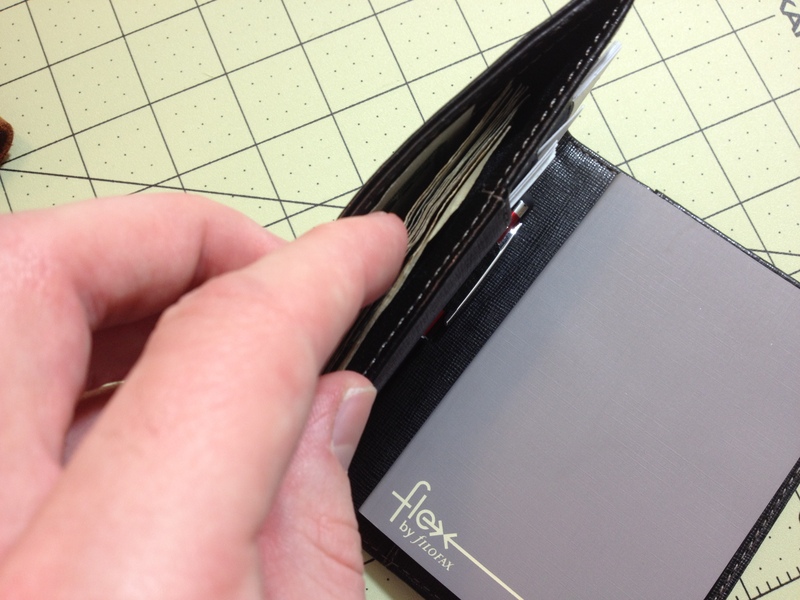 The Flex is a quality product, as a wallet, organizer, or notebook. It is very customizable and very hardy. If one’s needs change, the Flex can change with them, and it seems to be built well enough to last through those changes. I really like it, and wish it was more widely available here (it might be now: I need to check up on it). It is on the bulky side, so it’s not for the minimalist, and more customizable options would be nice. But unless I see something great I’m not on the hunt for another wallet.